While Mister Chase possesses no known superhuman powers, he is an excellent marksman and is seemingly trained in the use of several long-range weapons. Weapons: Mister Chase typically carries a number of automatic weapons. 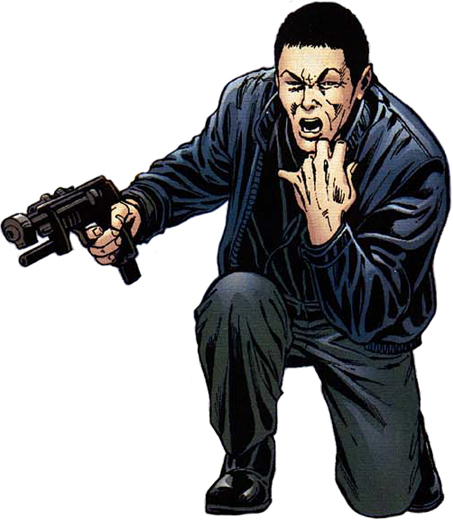 Mister Chase, is a trained assassin and bounty hunter, who was hired by Terrence Haller, Jr. to apprehend a Inhuman exchange student for study in Haller's labs.